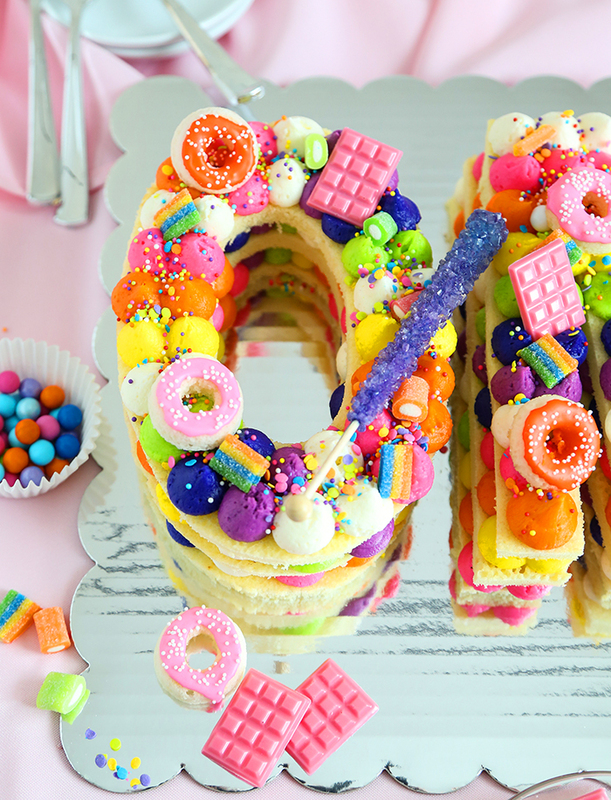 @Adikosh123 cake trends candy land cake Food Network fun food Instagram cakes OMG Cake! The original version of this cake was made using cookie dough, so the finished confection was a frosted and stacked cookie cake. 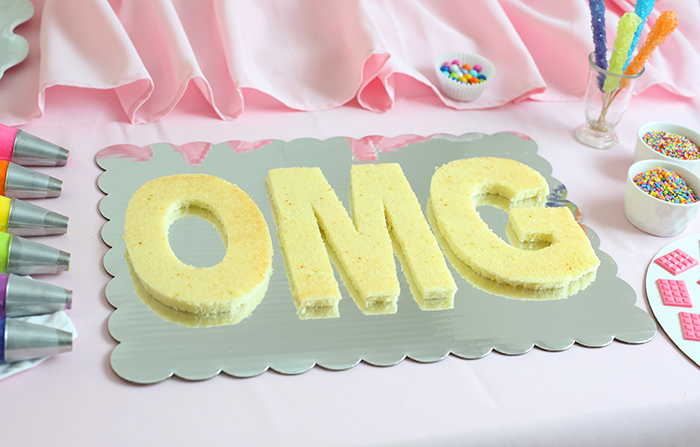 For this version I used sponge cake, which made a sturdy base for all the buttercream that gets piped on. Prerequisite for making this cake? You must love buttercream! (No problem here!) I used all the neon gel food colors of the rainbow to tint the frosting. You can find the set of gels I used here. 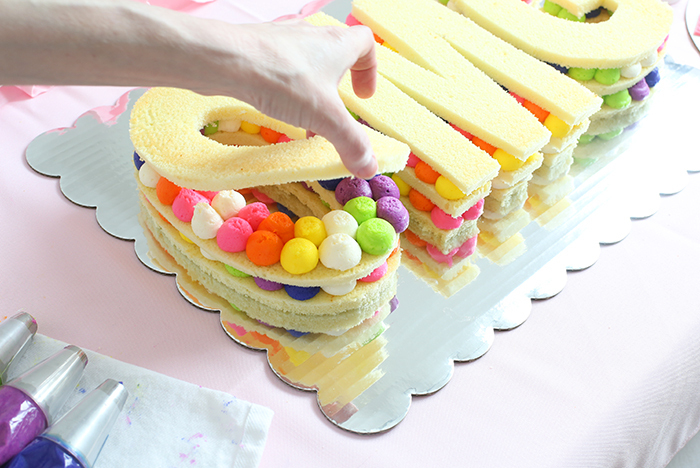 My favorite part of making this cake was picking out all of the bits and bobs for decoration. I absolutely love the sparkle of rock candy lollipops, so on they went! I custom-made pink mini chocolate bars using this candy mold, and I whipped up some tiny donuts using this baking mold. This is only a small peek at what awaits you on FoodNetwork.com! 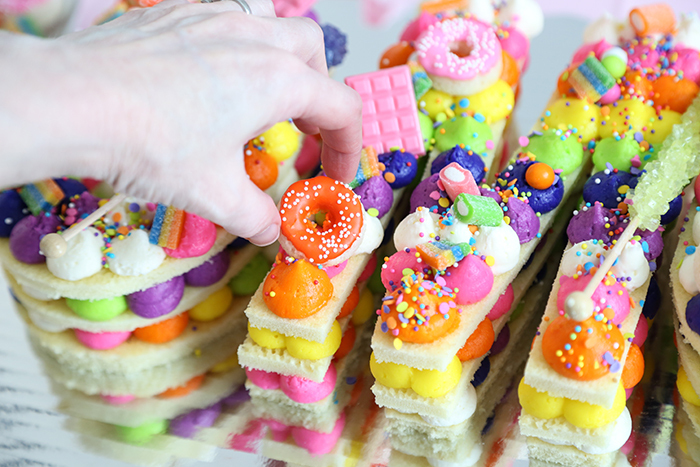 Click HERE for the video tutorial (with volume on for a mini dance party), and HERE for the full recipe, directions, and printable template. Hi Heather, the link doesn't seem to work - it just takes us to the front page of the Food Network, but there's no sign of the video! Hi! Hmm, that's weird! The links seem to be working for us, but I re-inserted the links to be certain. 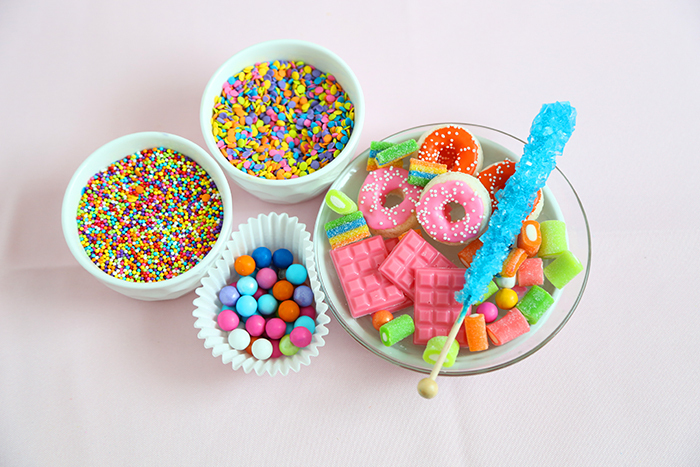 Where did you get those ADORABLE colored cowtail candies? I recognize the rest as goodies I could pick up at Party City or my local candy shop, but I've never seen those before. Very cute! 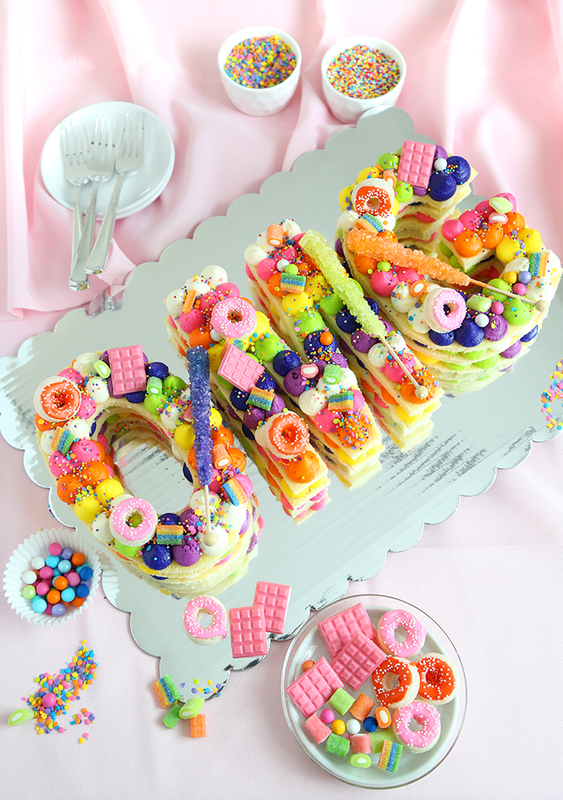 I'm going to make this for my daughter's bday next April. She's gonna flip, Heather!